A water company has been using taxi drivers to look at leaks. Severn Trent said it had deployed the drivers on about 50 small leaks "as a cheaper way to get live video footage" than using technicians. They sent images to engineers back at base who dispatched the most appropriate teams to the job, it added. The water company's programme had "huge safety implications for customers, drivers, and the public at large", the GMB union said. Water services regulation authority Ofwat said it expects all companies to "consider whether they are using efficient and effective tools and resources". 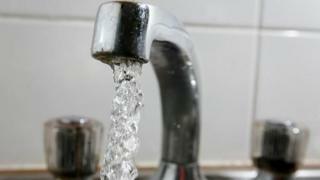 The GMB said Severn Trent had been using "Uber and taxi drivers" over two weeks for dozens of jobs. The union's national officer Stuart Fegan said: "When I found out Severn Trent are using taxi drivers to investigate leaks, I thought it must be a joke. Mr Fegan said water engineers were "highly trained specialists" who could spot "if water is contaminated and if water produces a risk to the public". He added: "I doubt most taxi drivers can. "And how is someone going to feel after they report a leak, expecting a Severn Trent worker to attend with a uniform and the necessary training and a taxi driver turns up. They'd think it was a hoax call." In a statement, the Coventry-based company said one of its trials had involved taxi drivers being used to look at about 50 small leaks to allow engineers back at base to "quickly assess the correct response". The firm said: "We're now looking at all the trial results to see the best way to help our engineers spend more time doing what's best for our customers by fixing leaks rather than simply assessing them." A spokesman for Ofwat said: "As part of our 2019 price review we've set companies the challenge of reducing their leakage by at least 15% by 2025. "While it is ultimately a decision for each individual company how they deliver on those commitments, we expect them all to consider whether they are using efficient and effective tools and resources." Uber were contacted for a comment.